Does direct mail marketing still work? That’s a question that many marketers ask themselves. 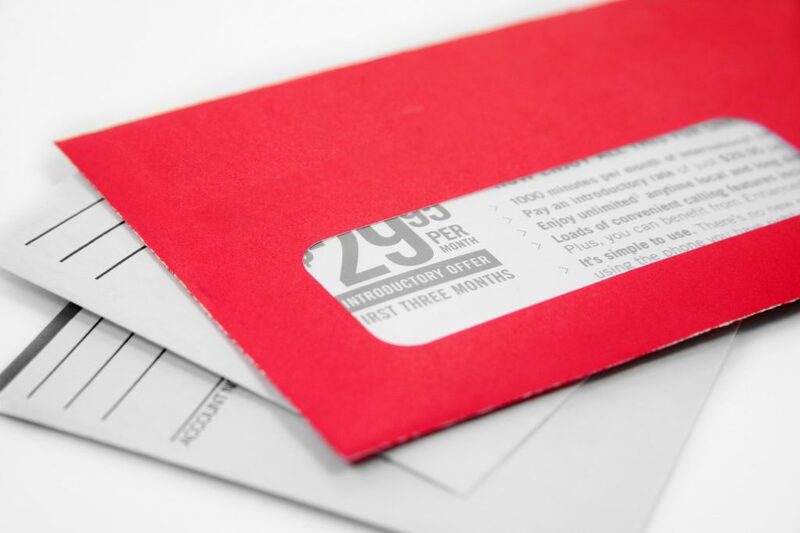 Direct mail is often seen as being too expensive. It’s also seen as something that just ends up in the trash anyway, so it’s not worth the investment. The reality is that direct mail is still alive and well. Direct marketing has seen a rise in response rates as high as 5%, beating out email campaigns. It’s not too late to jump on the direct mail bandwagon. Read on to learn the top direct mail trends in 2019 so you can set your marketing up for success. The same way that social media interacts with SEO, direct mail advertising interacts with other forms of marketing. When someone gets a direct mail piece, they’ll put it to the side to look at later. They’ll then check out the company online by visiting their website. You can integrate digital marketing strategies like blogging, email marketing, and retargeting ads with direct mail to make all of your campaigns more effective. When you look at direct mail trends, this one may seem most likely to be a digital marketing trend. Personalization applies to direct mail, too. Personalization across all marketing channels has been shown to increase loyalty and spending with your company. It’s that important. You can personalize direct mail by using the person’s name and create messages around their specific needs. The more it seems like you’re addressing their specific issues, the more likely they are to purchase from you. Your design has a huge impact on your entire campaign. It impacts the direct mail advertising cost, and it has a huge impact on whether or not people will stop to read the direct mail piece or ignore it. For your design to have maximum impact, keep it as simple as possible. You can do that by incorporating a lot of whitespace in your design with few images. Whitespace draws the eye to the images, which gets the reader’s attention. If you use images that make them curious about your piece, they’ll read the text because they want to know more. They’ll see your messages and feel like it’s written just for them. You close your design with a call to action. This tells the reader with the next steps they need to take, such as call for a free consultation. Direct mail should not be written off by marketers. It should be embraced now more than ever as people are getting bombarded by digital ads. Direct mail can help you stand out in all of that noise. These direct mail trends show that it’s possible to create a strong campaign by combining different marketing tactics, personalizing content, and having a strong direct mail design. They’ll be likely to visit your website, where you can turn them into customers. For more about that, check out how you can turn clicks into customers in 5 steps.